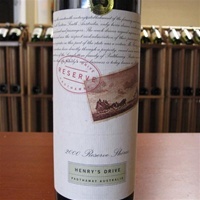 "The 2000 Shiraz Reserve (a selection of the finest barrels that has been aged in 100% new American oak for 13 months) displays the extraordinary fruit quality achieved by South Australia's top vineyards. The color is opaque blue/purple. The aromatics reveal gorgeous scents of blackberries, blueberries, cassis, pepper, licorice, and new oak. 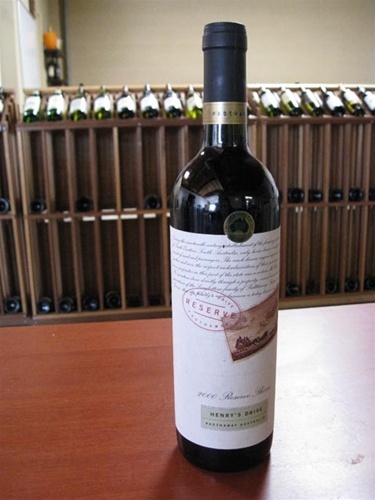 Formidably concentrated, extremely full-bodied and opulent, it is a fabulously concentrated, hedonistic effort. This is what "pleasure" drinking is all about. Forget terroir, and all the pseudo intellectuals with their phony rhetoric about transparency, and criticism of wines that "taste too good." This is uncompromised, unadulterated, pure pleasure. Drink it over the next 7-10 years.